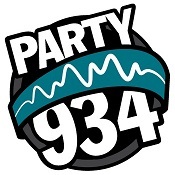 ‘Party 934 FM’ is an independent US based radio station. They broadcast on 94.9 FM in the Hudson Valley, New York, and stream live worldwide across the web 24/7. They have taken ‘Death Defying Headlines’ for playlist review. I would like to take this opportunity to congratulate you to your fantastic work to convince the Kaja’s to release ‘Death Defying Headlines’ and how you are both doing a great job with the entire promotion!!! This week we updated the Limahl Fan Club site with the news about the single release, created a banner for the website, and informed all our members. Hopefully the fans in the German speaking countries can contribute that Kajagoogoo will enter the charts in the UK. It’s good to see that the radio stations seem to be very interested in playing the Kaja track. I keep my fingers crossed that it will be a success! In other news, we spoke with the Westmorland Gazette newspaper to arrange another story, we’ll feature that when it comes out. Stuart Croxford Neale thanked us for our work for far with the single. Cheers Stuart! So we’re coming into June now, only 12 days away from the actual release of the single. Please please please please pre-order the track and help us make this quest a success! !